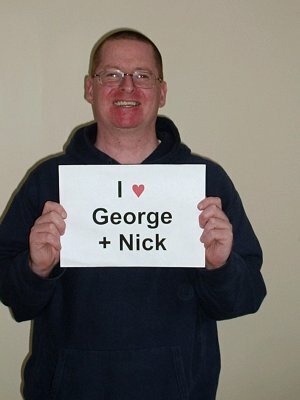 We thought it would be fun to get photos of folks who've visited our website. 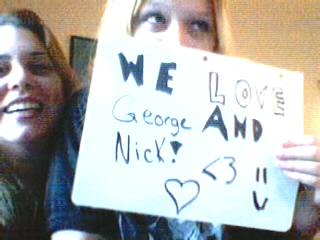 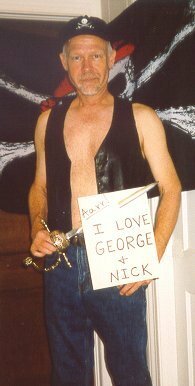 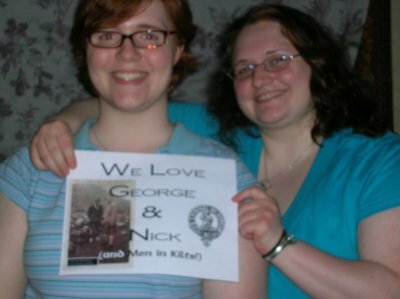 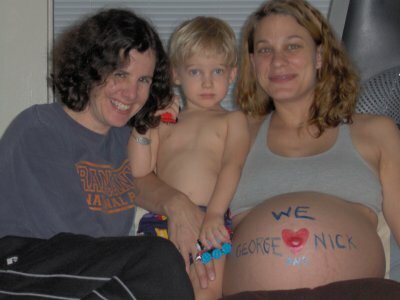 Hopefully we can get a whole collection of people from all over the world holding signs that read "I LOVE GEORGE & NICK". 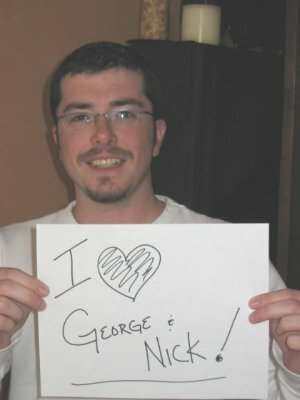 Please feel free to send us a photo of yourself or your friends, and we'll put it on our page (if it's not too naughty, otherwise, we'll just put it in a frame). 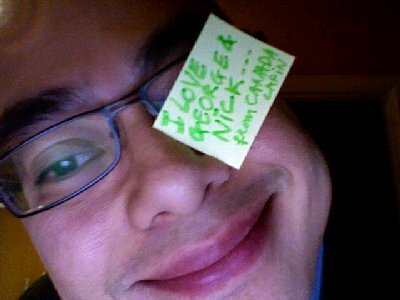 Thamer is from Saudi Arabia.